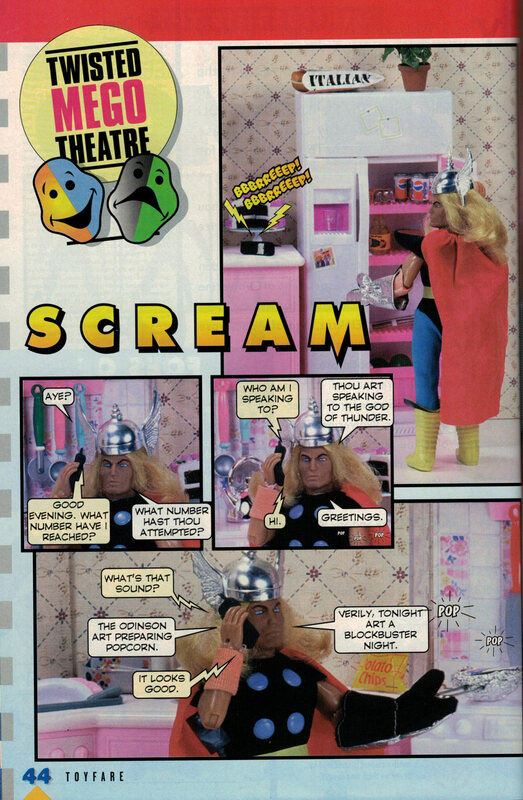 From issue #5 (January 1998) “Scream” is written by Toyfare staff (no credits yet). I’m going to add one of these a week for the rest of the year, so be sure to book mark us. To see previous posts, click the “Twisted Mego Theatre” tag at the bottom of this post. More after the Jump….